In the table, enter at least 4 pairs of values of x and y (with some of them being negatives or decimals) satisfying the relation y = x + 2. Select these values, right-click and choose “Create List of Points” to plot them on the rectangular coordinate plane. What do you observe? Check the box “Mark positions satisfying the relation”. Drag A to see the positions of A (in red) at which its coordinates satisfy the equation. 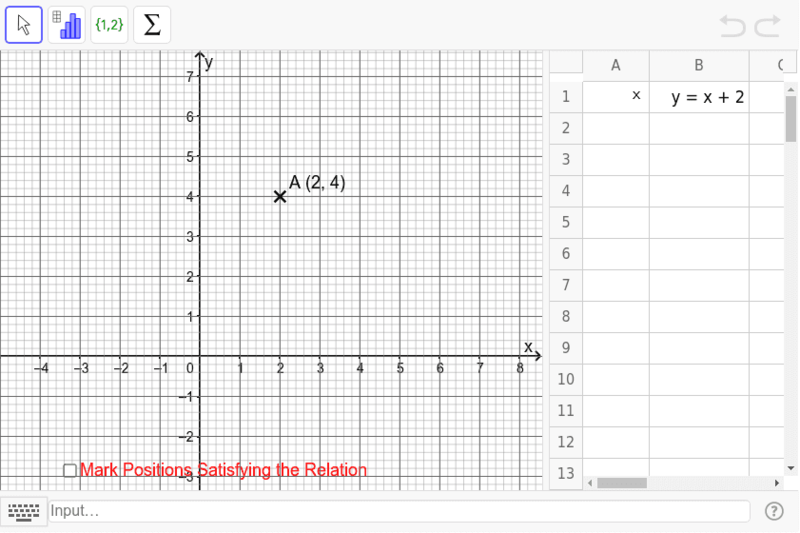 What do we can if we plot ALL the pair of values satisfying the equation in the graph?